Amazing opportunity for multi-residential (M-C2) redevelopment on a PRIME corner lot in inner city Mount Pleasant. 8,988 SF lot with 75 FT frontage and 120 FT depth. Possible for a maximum Floor Area Ratio of 2.5 times (22,2470 SF) development at 3 to 5 Storey, 20 unit apartment building. 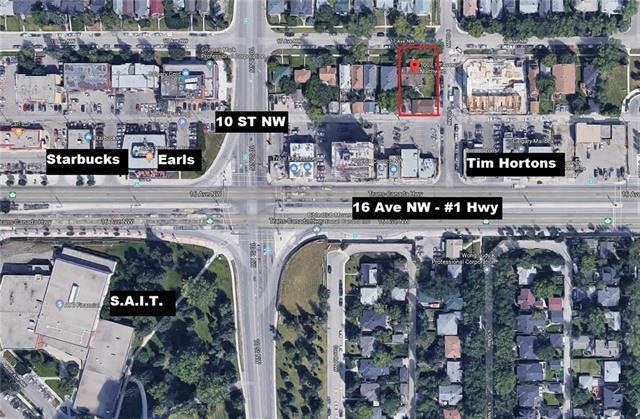 10 minute walk to SAIT/LRT or just 10 minute drive to Downtown, Tim Hortons at your backdoor. There is no better M-C2 lot in the NW. Dont approach tenant. Selling for LAND VALUE ONLY, viewing of property after offer acceptance.